When Lush fill their shops with festive pampering, I know just one thing, Christmas is well and truly on its way. I am happy to admit that this girl might just have a little addiction to Lush and filling my bathroom with most of their store. When they bring out their Christmas goodies, which are only in store for a few months, the hoarding instinct becomes stronger. In this post you will find a selection of my Christmas favourites. This year Lush have seriously outdone themselves. Every good Christmas needs a few lovely presents under the Christmas tree. 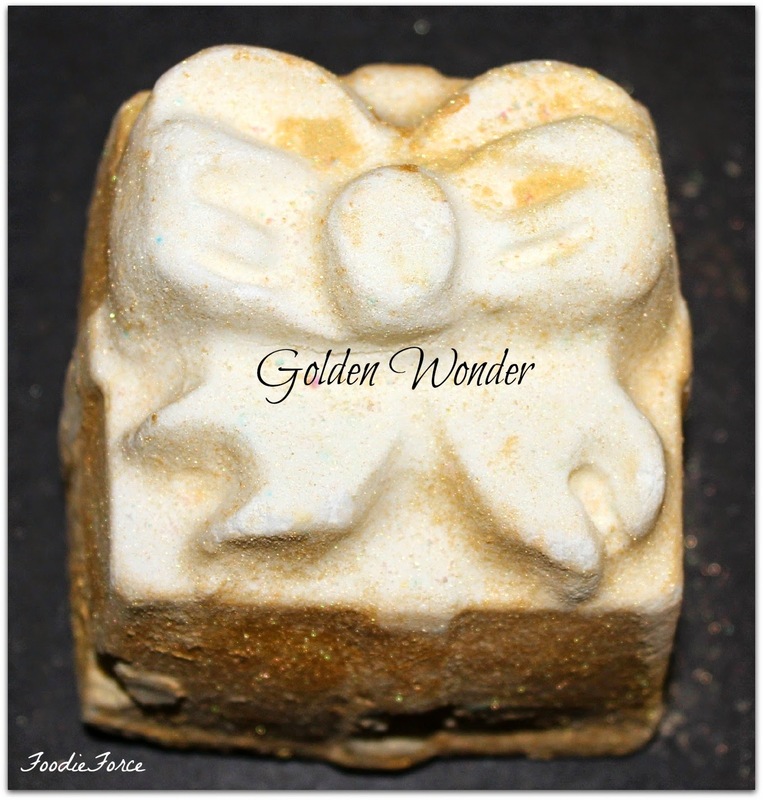 Golden Wonder, lets just marvel at the mastery of how pretty this little beauty looks. If you shake it, a little surprise is waiting for you. Drop it in the bath this is a gift that just keeps giving, as vibrant gifts inside unveil themselves. It smells wonderful with all my favourite scents of orange and lime. It makes a beautiful bath, I just wish that I had a cleaner who would get rid of all the glitter at the end of the bath. Maybe I could ask my Snow Fairy for help who I believe loves a bit of sparkle. The only way to describe this is a candy store in a bottle. Whilst I am not that keen on the sweet smell what it does for my skin I love, it makes my skin lovely and soft. When the fairies have caused all their mischief and mayhem, in comes Lord of Misrule to cause even more disorder, mischievousness and chaos. The outside colour of this bath bomb is very deceiving this little beauty becomes a wonderful claret colour as it whizzes and spins, leaving a wonderful peppery and vanilla scent. Quick, call in the Snow Angel who will slowly melt and restore calm and serenity. The snow Angel leaves gold glitter everywhere but melting away in the bath it is absolutely beautiful, as the glitter slowly seeps outwards creating a glittering halo. Containing cocoa butter this leaves my skin lovely and moisturised. After all this festive fun comes the wonderful feast. 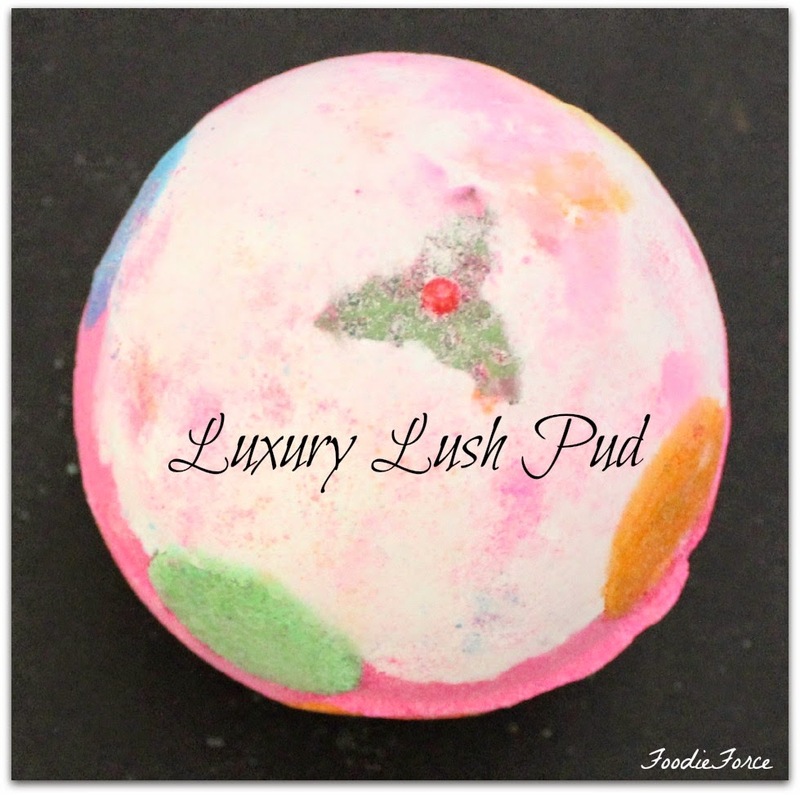 No Christmas would be complete without the Luxury Lush Pud. This is a work of art as, it swirls around the bath creating a beautiful pastel masterpiece. Twilight is my absolute favourite bath bomb and this has to be its colourful and vibrant cousin. The lavender is perfect for getting ready for bed. No celebration would be complete without fireworks and shinning stars. The aptly named Northern Lights slowly whirls around the bath to create a wonderful blue and starry sky. The scent of ylang ylang and jasmine will soon have you off to sleep dreaming of all the festive glittery fun you have had. I'm making a beeline for my nearest Lush store at the weekend to stock up on more of the same, so that I can have Christmas bubbles well into the New Year. What is your favourite Christmas pampering product? 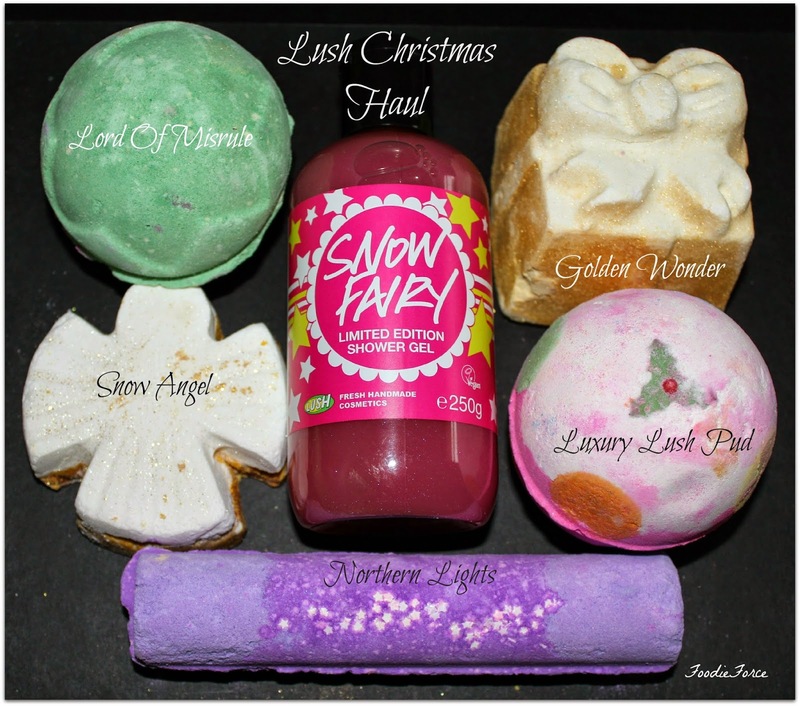 I'm just perfecting my Lush wishlist then I'm going to stock up on Christmas goodies! Ahh, I really want to try the shower gel and northern lights! It looks so much fun. Woo, purple. I really want the Snow Fairy gel!! Yay! Christmas is coming :-) The snow angel has to be our favourite from your description and photos...will have to try! We love cranberry scented products at Christmas :-) Enjoy your lovely goodies. 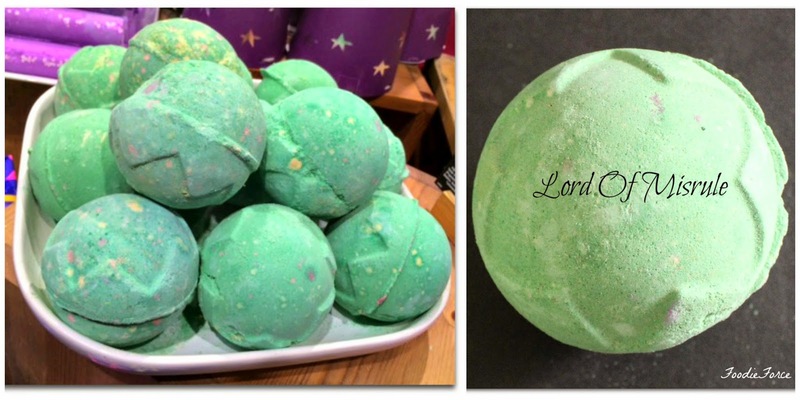 I wish I had a Lush store nearby! Not the same ordering online as actually going into the store and touch/feel/smell the products!!!! I do love a nice, fragrant bath in the winter months!!!! I haven't been to lush in awhile, and this makes me want to go make that trip. There isn't one in my vicinity, but about a 30 min drive away.